Peacefully at his Pine Tree Point home, on Saturday, September 19, 2015. Bryan Ross Bauman at the age of 67 years. Loving husband and best friend to Catherine (nee Bowman) for almost 22 years. Dear father of Jeffrey and his girlfriend Jessica Brazeau, of Kitchener; and step-father of Jennifer Break, of Kitchener. Cherished grandfather of Jamie, Emmy, and Katie. 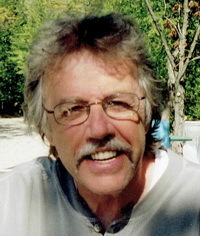 Devoted brother of Carolyn Morris, of Waterloo; and brother-in-law of Sheri and her husband Larry Palmer, of Penetanguishine. Sadly missed by his brother-in-law Dave Fennell; father-in-law Jack Bowman (late Jeanne); and his loving God Parents Shirley Kress and Reg Hillary. Predeceased by his parents Orvie and Adell Bauman; sister Phyllis Fennell; and brother-in-law Patrick Morris. Bryan was a man of great faith and a disciple of Jesus, which was manifest in all of his dealings with people; family, friends, and business. Friends are invited to join with family for a gathering to celebrate the life of Bryan Bauman at the Bethel Evangelical Missionary Church hall, 18 Ferndale Rd., Lion’s Head on Saturday, September 26, 2015 from 1-3 PM. Thence to Erb Street Mennonite Church, 131 Erb St. W., Waterloo, where a funeral service will be held on Sunday, October 4, 2015 at 3 o’clock. Interment of ashes in Erb Street Mennonite Cemetery. Cremation has taken place. Donations to Andrew Wommack Ministries Canada would be appreciated and can be made through either the Thomas C. Whitcroft Funeral Home & Chapel, 814 Bruce Rd. 8, Sauble Beach (519) 422-0041, or the Erb & Good Family Funeral Home, 171 King Street South, Waterloo, (519) 745-8445.